The Alberta government has pulled funding for a new multimillion-dollar police and peace officer college in Fort Macleod. Solicitor general Jonathan Denis made the announcement Wednesday, saying there is "substantial evidence" that a stand-alone facility wouldn’t be financially viable. "This was a very difficult decision," Denis said. "But it's one I believe that is in the best interest of the taxpayers and law enforcement in this province." Calgary's and Edmonton's police chiefs and the commissioner of the RCMP do not believe the college is required and would not improve the quality of policing, Denis said. The Police and Peace Officer Training Centre was first promised in 2006 and construction was supposed to begin in 2007, but the project never went any further than a ceremonial sod turning. Fort Macleod Mayor Shawn Patience says the decision has ruined his faith in the political system. "This is a $122 million project in a town of 3,000 people," said Patience. "It's just absolutely baffling to me that you could get into the stage where you actually have equipment on site and have a town like ours that has committed already $3.5 million on signed contracts with the government's approval, that this would now not go ahead." Patience said he has called his council together for an emergency meeting. "I have asked the solicitor general to speak to the premier and cabinet and reverse the decision. I was told that would not happen. So, at this point they have literally, I guess for all intents and purposes, they've hung us out to dry." In 2006, Patience said the community was very excited about the new centre being built in their town. "This is really where policing began in Western Canada, and it's very exciting now that Fort Macleod is now part of the future of policing, not only in the province of Alberta but in the country as well," he said. The cost of the facility had grown to $120.7 million from the 2006 estimate of $50 to $100 million. It was expected to train as many as 400 police recruits and 1,000 peace officers each year. 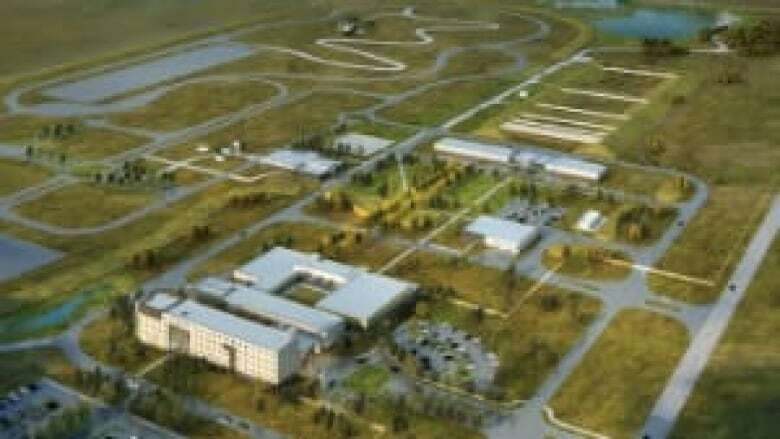 Cancelling the facility may still end up costing the province money as the construction contract had already been awarded. "My belief is the contract was not signed," said Denis. "Any cancellation penalties that there would be, if any, would be far outweighed by the actual amount of going ahead with this project that is not necessary." The province says despite the cancellation of the college, standardized training for law enforcement agencies across Alberta will continue to be implemented. NDP justice critic said the Conservative government is abandoning rural southern Alberta. The riding the college would have been in went to the Wildrose in the last election and Rachel Notley said that probably contributed to the decision. "The single biggest deciding factor was the party that the local MLA belongs and just recently of course that party is no longer the [Progressive] Conservative Party," said Notley. The solicitor general said the decision would be the same even if the centre was in his own constituency. Wildrose justice critic Shayne Saskiw sided with Notley, and said the decision was part of a political game. "What we just see here is classic PC incompetence and mismanagement and that the government should be making decisions on funding from the start."